Perfect Vacation Cottage or year round home just blocks from LAKE MICHIGAN and LAKE ARCADIA~40 minutes North to Traverse City! 3 bed, 1 bath partially remodeled farmhome with 2 car garage, basement and lovely, peaceful yard! !Cozy up to large Stone Fireplace in Living Room! New septic, windows, well pump, bathroom tile, wood paneling, and 75 gallon water heater! 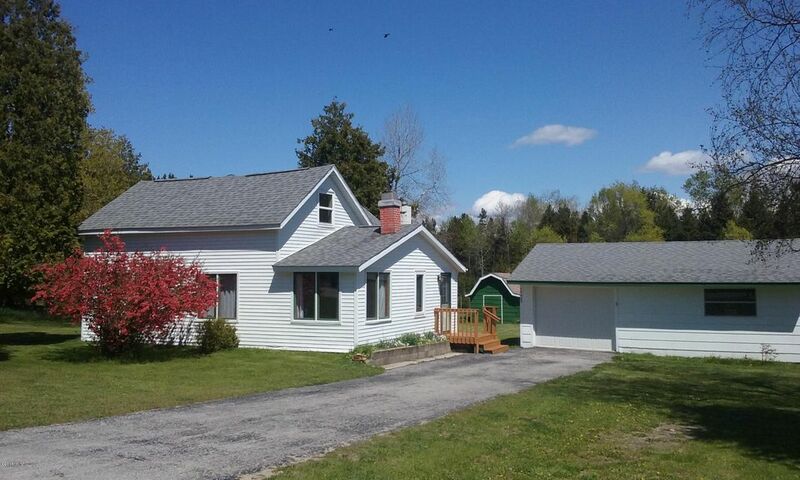 You will have it all here; living on the M-22 Corridor that is Arcadia, MI! Minutes world-renown ARCADIA BLUFFS GOLF COURSE, Arcadia Marsh Natural Preserve and Arcadia Marina~bring your toys and enjoy! Priced to Sell!